Bella is once again showing support for the anti-racist message by inviting Show Racism the Red Card back for a third year. 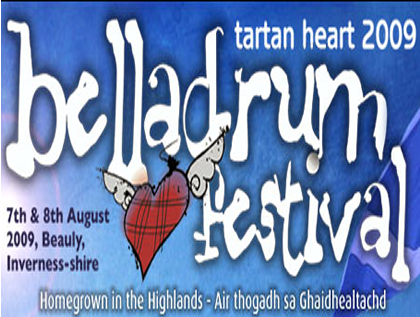 In our third year at the excellent Belladrum Tartan Heart Festival, Show Racism the Red Card will have even more activities. The main attraction will be our 4-a-side football pitch which has been provided by local Inverness based charity Action For Children. The football sessions will be popular with young people up to the ages of 14. The sessions will be facilitated by our coaches actor Atta Yaqub and professional footballer Brian Irvine. Come along to the stall to sign up for a fun match and some football skills training. The football activities will be running on both Friday and Saturday. Our highly popular stall will be giving away football posters and selling T-Shirts, small footballs, badges and bags. On Saturday from 1:45pm - 3pm in the Co-operative Verb Garden we will have an educational film screening and workshop with prizes. As with the football training, this session will be aimed towards our younger festival goers.